Putting the Bar In Bargain! At Halstead, we’re all about giving you the best selection for the best price! 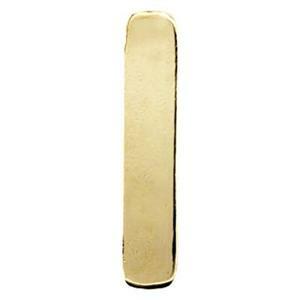 The GF1375 is just that – a bargain of a 14/20 Yellow Gold Filled – Double Clad – 24 Gauge Rectangle Bar Blank. Just waiting for you to emBark on a new jewelry design! Complete your creation with one of our many Gold-Filled Footage Chains.